Happily, Charles Spencer Chaplin won the battle to keep his hat, his moustache and his walk, and here we are a century later, still marvelling at the effect he had on a new art form that was searching for direction – most popularly as a performer, but just as vitally as a filmmaker and all-round creative genius, one of the first true auteurs. Eagle Home Entertainment has recently made available a series of Chaplin’s feature-length movies in good, restored prints, and it’s been a good excuse to catch up on films that I took for granted when I was a child. There are many gems here, including The Gold Rush, Modern Times and, from later years, Limelight and Monsieur Verdoux, but if I had to pick a favourite it would probably be the lovely City Lights, which Chaplin determinedly made as a silent film at a time when talkies were all the rage. (A sly opening scene has pompous officials speaking gibberish while inaugurating a statue – probably a reflection of what Chaplin himself felt about talking movies!) This story about a tramp who falls in love with a blind flower girl while also managing an oddly intimate, on-again-off-again friendship with a drunk millionaire, combines all the best qualities of his work: imaginative physical comedy (notably the superb boxing-ring scene), unforgettable little gags (the "lucky" rabbit foot, the spaghetti and the streamers), gentle romance and pathos. To watch the classic Chaplin films is to marvel at the influence they have had on cinema over the decades – and to discover, almost from one scene to the next, how strongly his work has seeped into popular culture across the world. (It's a bit like realising that a favourite novel - say, Faulkner's The Sound and the Fury or Richard Matheson’s What Dreams May Come - gets its title from a phrase made popular by a Shakespeare play.) 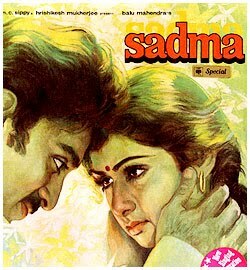 Everyone knows about the effect he had on Raj Kapoor’s work, for example, but watching the beautiful last scene of City Lights where the tramp meets the girl, her sight now restored, I was reminded of the final moments of the Kamal Haasan-Sridevi tearjerker Sadma, where a man finds that the girl he had cared for through a mental ailment no longer recognises him now that she has regained her memory. The City Lights sequence is (somewhat uncharacteristically for Chaplin) very understated, while the Sadma one belongs to a tradition of high melodrama, but the emotional link is so strong that it almost doesn't matter. To my eyes at least, Haasan almost comes to resemble Chaplin in that scene; even his moustache seems to droop in a similar way. But then, optical illusions of this sort are part of the Little Tramp’s legacy - you find traces of him in the unlikeliest places. It also barely matters that the first film ends on a seemingly hopeful note whereas the latter's ending is sad and pessimistic; in the Chaplin universe, the possibility of melancholy exists in the most joyful situations, and vice versa. 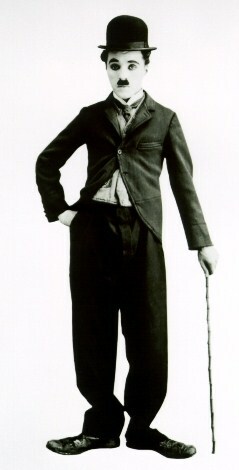 In any case, the viewer's knowledge of the Tramp's screen persona - the fact that he's a drifter perpetually bow-legging it from one situation to the next - makes it difficult to imagine a genuine romantic union between him and the flower girl, and this could be one reason why the last scene of City Lights is so movingly ambiguous. As Andrew Sarris put it, the final close-up is "the definitive image of a man who feels tragically unworthy of his beloved". It's a classic Chaplin theme.
" you find traces of him in the unlikeliest places." Is it really that unlikely though? Wasn't Kamal Hassan an avowed Chaplin fan at one time? (I initially assumed thats how you arrived at the Sadma comparison). Admittedly, I'm not sure if Sadma is from that phase of his life, but could he have been consciously (or sub-consciously) aiming for a similar tone in that last scene? We at Sakaal Times, Pune wanted to do an interview regarding your book, Jaane Bhi Do Yaaron, and I was wondering if you can get back to me on mailtosandhya@gmail.com. Wasn't Kamal Hassan an avowed Chaplin fan at one time? Akshay: not sure - quite possibly he was, and that scene might have been a conscious homage - but what I meant by "unlikeliest places" was more along the lines of Chaplin's persistent influence across time, space and genres. In a longer column-space I would have thrown in a few more examples. Interestingly enough, City Lights is one of Kubrick's favourite films! 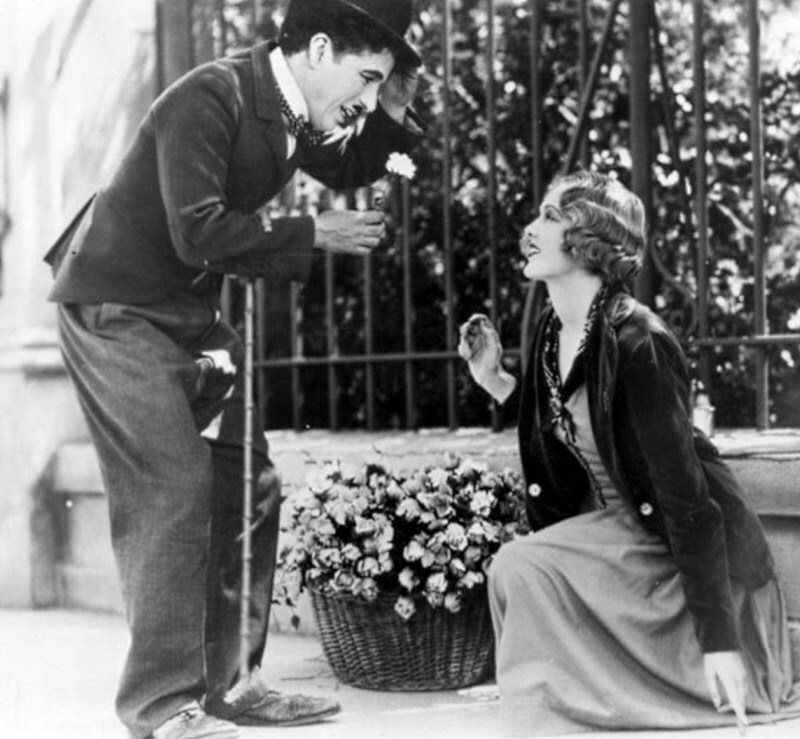 Chaplin's influence can also been seen in some of Woody Allen's films - especially Broadway Danny Rose. I'm not sure if his influence has been altogether beneficial. Like Dickens' work, I guess his films have made it a rather fashionable to romanticise poverty and well-meaning stupidity and has prevented us from taking a thoroughly unsentimental view of the same. Both Keaton and Lloyd have aged better in my view. Keaton impresses us with his single-mindedness and abhorrence of self-pity. Whereas Lloyd exudes the spirit of entrepreneurial America with his can-do attitude. But yes, Chaplin's melodrama remains, for better or worse, the most influential and the most accessible work among the trio. shrikanth: taken as a whole, I prefer Keaton's work and screen persona too (though I'm not sure I'd place any of his movies above City Lights or Modern Times). Haven't seen enough of Lloyd to compare him with the other two. This memo reminds me about Decca rejecting The Beatles in 1962. They'd said at the time, "We don't like their sound, and guitar music is on the way out"
"Can't act, Can't sing. Balding. Can dance a little"
Oh, Kamal Haasan has always been a huge Chaplin fan since his very early days. He's played overtly Chaplinesque characters/scenes in several films (including one in which he plays a Chaplin imitator within the film, what's easily his most famous Chaplin outing) And traces of Chaplin can be found not only in all his comedies, but even in some of of his very serious ventures like, for instance, Mahanadhi (1993). @Zero: Nice you mentioned MMKR. That scene was a very obvious tribute to Gold Rush! But I'm not sure whether that was Kamal's idea or the director Srinivasa Rao's. Also, one shouldn't be mentioning Michael Madana.... in the same sentence as Manmohan Desai! MMKR is one of the most exhilarating comedies I've ever seen, way better than anything Desai was capable of. I'm fairly sure that Kamal and Singeetam very much had The Gold Rush in mind when they conceived and realised that crazy climax in MMKR, which is to my mind the greatest comedy in all of Indian cinema. And regarding Manmohan Desai, MMKR is obviously a much superior film (in the expansiveness of its comedic canvas, its restlessly brilliant humour, its arresting formal concerns, and so on), but surely the film inherits some of the plot mechanics from the Manmohan Desai school of filmmaking. The title is most obviously a take-off, as were many other films in the 80s, on Amar Akbar Anthony. Also remember, the story is credited to Kader Kashmiri, who's very likely to have been informed by Manmohan Desai in coming up with such an implausible story that's as Shakespeare-via-Manmohan Desai as it gets. Zero, Shrikanth: while on MMKR, have you seen this post? Have you seen the film? I am not sure how much would be lost in translation though. Jai: Thanks for the link. Those are two very fine films! I like MMKR a lot but it isn't a particularly cinematic film - very heavy on dialogue and very hard for a non-Tamil to appreciate. Another Indian comedy which probably deserves a monograph is Paranjpe's Katha. Now that's a film more compact, more cinematic and far more serious in its implications than either JBDY or MMKR. Yes. We (Gradwolf and some other folks) were discussing this (a book on MMKR) on twitter in the wake of your JBDY book (which I've glanced through, but want to revisit the film first). Looking forward to reading it. I agree that MMKR is very heavy on dialogue, but I think it is a particularly cinematic film. This is one of the problems I personally face when it comes to describing MMKR. Its expansive canvas accommodates so many things ('compact' is one thing you can't accuse that film of! ), from screwball to silent slapstick to satire. I'm not sure if I'm expressing myself clearly here, but my basic point is I think there's much more to MMKR than verbal wit. And I'm a big fan of Paranjpe's Katha too! I remember reading a superb post by Jabberwock in which film he had offered a really interesting reading of the film. I see it as not a classical retelling of the Tortoise-Hare story but a reinterpretation of it by including the audience of the race (the people of the chawl) in the story. Also, Appu of Appu Raja(Aboorva Sagodharargal) had severe Chaplin influence, right? Mehmood's Janata Hawaldar borrowed heavily from the blind flower girl story. Whether it was a shameless ripoff in this late 70s Rajesh Khanna mish-mash, or a deliberate homage, is open to debate.